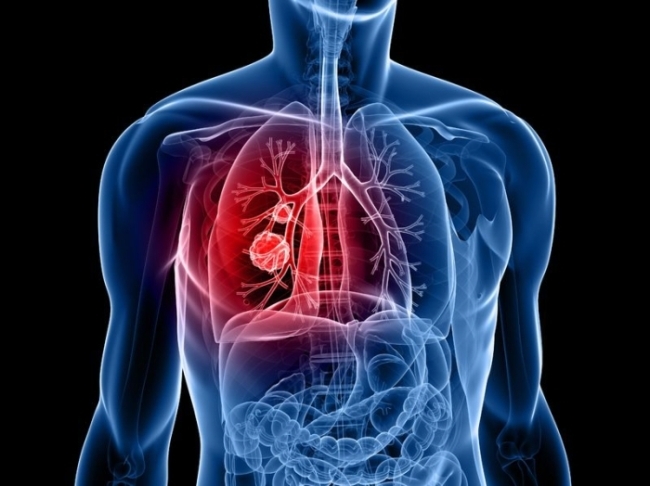 Korean researchers have identified a new type of microRNA molecule which suppresses a gene that plays an important part in lung cancer, the National Research Foundation of Korea said Sunday. Further studies on the newly identified miR-9500 can potentially enable early diagnosis of lung cancer and can even be applied to lung cancer treatment, researchers said. The study was presented last month in the online edition of the academic journal Cell Death and Differentiation, published by Nature Publishing Group. According to scholars from the college of pharmacy at Cha University, the expression levels of miR-9500 were reduced in lung cancer cells and tissues. A microRNA molecule is a small chain of RNA ― ribonucleic acid ― that regulates the expression of genes. “This indicates the microRNA molecule can be used as a diagnostic marker for lung cancer,” said Kim Jin-Kyeoung, a professor of pharmacy who participated in the study. They also found that miR-9500 directly suppressed Akt1, which is assumed to be its target gene. Akt1 plays an important role in the production and proliferation of lung cancer genes, the study found. To prove their theory, the scientists infected a mouse with lung cancer and gave it miR-9500 injections over the next six weeks. They found that the rate of metastasis of a tumor in a mouse that had been injected with miR-9500 was significantly lower than that of a tumor growing in a normal mouse. The study was funded by the National Research Foundation of Korea and the Education Ministry.